Hardcover, 6.75 x 9.5 in. / 283 pgs / 200 color. Edited by Barbara Nemitz. Essays by Hideto Fuse, Karl Schawelka and Thomas von Taschitzki. From the rosy tint of wind-reddened cheeks to the first flush of arousal, from cherry blossoms to PeptoBismol, pink is a sweet, intimate, fragile and sickening shade. Few colors trigger more contradictory associations and emotions--tender, childish, plastic, pornographic--or are so symbolic of both high and low culture. Pink is sometimes awkward, even embarrassing, but on the other hand it is enjoyed and associated with the idea of beauty. Artists of all hues, from Jean-Honore Fragonard to Pablo Picasso, Caspar David Friedrich, Louise Bourgeois, Sylvie Fleury or Pipilotti Rist, have studied it in their works. The examples collected here include those and more, featuring Caspar David Friedrich, the early Joseph Beuys, Willem De Kooning, Andy Warhol and Yves Klein, not to mention contemporaries like Christo, Nan Goldin, Vanessa Beecroft, Wolfgang Tillmans, Takashi Murakami and Pipilotti Rist. 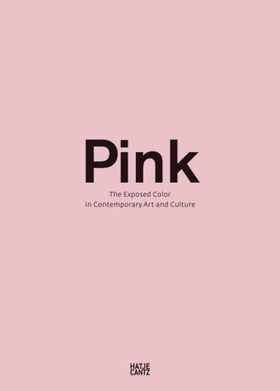 In addition, Pink gathers work by a group of young talents from the Bauhaus University in Vienna and the Tokyo National University of Fine Arts and Music, where working students cooperated over an interactive web site to investigate the color's most current perceptions and uses. Their final selection suggests, among other things, that viewer reactions are determined by cultural factors. For example, the positive perception of pink in Japan seems strikingly masculine to the Western viewer; every year the country pauses to contemplate the pink blossoms of the cherry trees, which, after just a few days, drift like snow to the ground, symbols of the death of the samurai, who falls in the bloom of youth. As the cherry trees blossom, this book on the nature of pink makes its debut, an unusual intercultural discourse. FORMAT: Hardcover, 6.75 x 9.5 in. / 283 pgs / 200 color.